Cape Town - When the Springboks came back from 24-3 down to beat England at Ellis Park in the first of the three-Test June series clashes, South African fans believed that this was the start of something special. It wasn't so much the 42-39 result that caused the excitement, but rather the nature of the win. For two years under Allister Coetzee, the Boks had looked aimless in their approach with no clear plan ever evident. On that June evening in Johannesburg, though, the Boks played a fearless brand of running rugby that saw all five of their tries scored by backline players. It began to look like South African rugby, finally, was on the right track. Fast-forward three months, and coach Rassie Erasmus is walking into a clash against the All Blacks in Wellington being given little to no chance of coming out with a win. The coach, almost absurdly, is under pressure. Losses to Wales, Argentina and Australia on the road have hurt, with the performances in those matches as disappointing as the results. 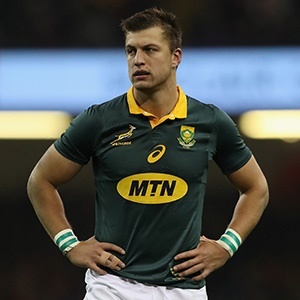 Erasmus has been criticised for his inconsistency in selection while the Boks have struggled to implement the basics. Now, with a task more daunting than anything prior waiting on Saturday, the Boks must find a way to leave Wellington with their heads held high. A win, however unlikely, would do wonders for the mood surrounding South African rugby currently. The Boks haven't won in New Zealand since 2009, and this is as good a time as any to change that worrying statistic. If the Boks are to stand any chance, there are a few things that are non-negotiable. The selection of Ross Cronje as the scrumhalf cover on the bench, and the return of Handre Pollard for Elton Jantjies, suggests that the Boks will be doing a lot of kicking out of hand. One of Cronje's major strengths is his box kicking, while Pollard is considered more consistent with the boot than Jantjies. If Erasmus is instructing the Boks to kick their way into good field positions, then it is vitally important that those kicks are accurate. Kicking too deep will give a lethal All Blacks back three the space they need to hurt the Boks. They don't need a lot of it, either. Aimless kicking from the Boks will result in points for the New Zealanders. The Boks will not be able to outplay the All Blacks with ball in hand the way they did against England back in June. They will have to find other ways of getting ahead and going back to their traditional strengths might be their best bet. For now, they need to ditch the enterprise and focus on the basics. The rolling maul was one positive to come out of last weekend's loss to the Wallabies, and if that can get going against New Zealand then the Boks might have found an area of dominance. Set piece, though, is crucial and the Boks must secure their own ball at scrum and lineout time. The handling errors against the Wallabies last weekend were a major problem and they cannot be repeated. There are only so many opportunities that a side gets against the All Blacks and giving them away with a basic inability to catch a ball simply cannot happen. More than that, the All Blacks are lethal from turnover ball and if passes go awry they have the skill and speed to pounce. The Boks must protect the ball at all times, even if that means keeping it close and making the hard yards. The missed tackle count needs to be low for the Boks to stand any chance. They will not win if they slip tackles the way they did last weekend. For the most part, the Bok tryline defence was actually pretty good against Australia and there will be plenty of that on Saturday. Last year, the Boks were smashed 57-0 in Albany. This time around, it is crucial that they stay in touch for as long as possible. To avoid a blow-out, they need to make their tackles and the positional awareness on defence - in open play and at the breakdown - needs to be significantly improved. The All Blacks make the most of their opportunities. It is an area where they are better than any other side in the world. On Saturday, the Boks must match that conversion rate. There will not be limitless opportunities against a side of this quality, so when they come around they need to be capitalised on. Trips to the All Black 22 need to be rewarded, even if only in the form of three points. The Boks need to stay in touch and take their penalties when they are on offer. Pollard has been poor of the tee so far in this tournament, but he will have to change that quickly to keep the Boks ticking over.